At one time, my friend, Mike, had a unique role working for the US army in Afghanistan. His job? Build relationships with the Afghan people. Mike says that for the most part, the army establishes outposts; and from the safety of these outposts, the soldiers will get in their tanks and head to nearby villages to access the level of suspicious activity. It is not their job to get out of their tanks. But because they never do, they can only report so much. “Getting out” and listening was Mike’s job, though. He was in Afghanistan with specific orders to engage with people; dangerous and risky business, but necessary also, if the goal is to understand the unique weight and problems of the villagers as they live under continuous pressure to join the forces of terrorism. When it comes to sharing the Gospel how much should what we do look like what Mike did? Does the world need us tucked safely inside or out listening to them? Inspired, blessed or challenged by Q Place’s Walk the Way radio minute? 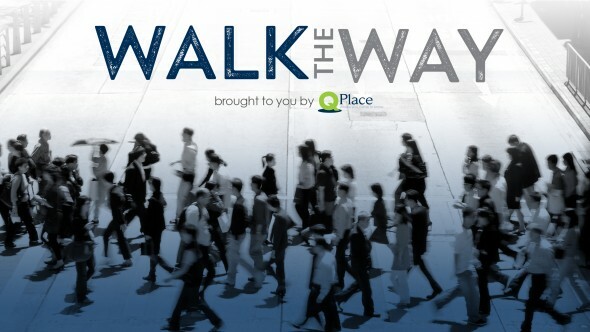 Ask your local Christian radio station to add Walk the Way to their program line-up with just one click! And make sure to check out the Walk the Way Facebook page. You can join the community there for daily, vibrant spiritual conversations. We hope you’ll catch Q Place…on the radio!